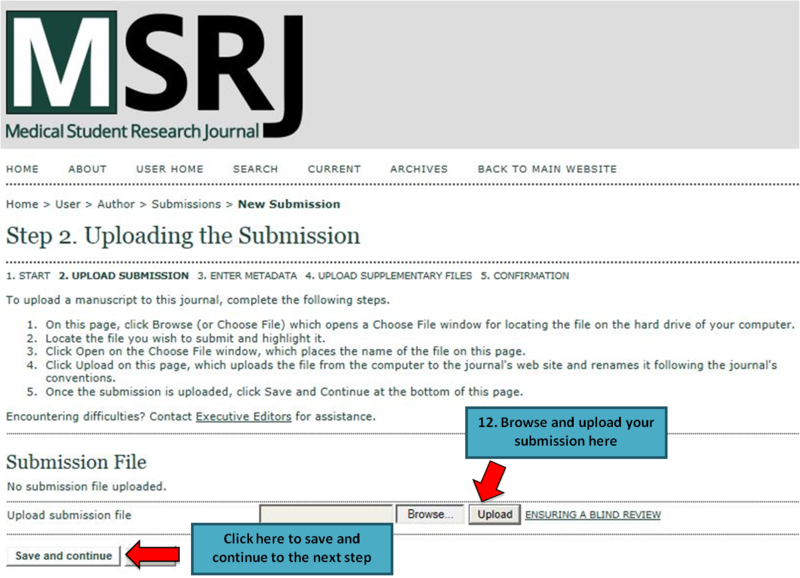 If you have not previously registered for an MSRJ account and would like to submit a manuscript for consideration, please follow the instructions below. If you already have an account, the submission process will be the same as before. 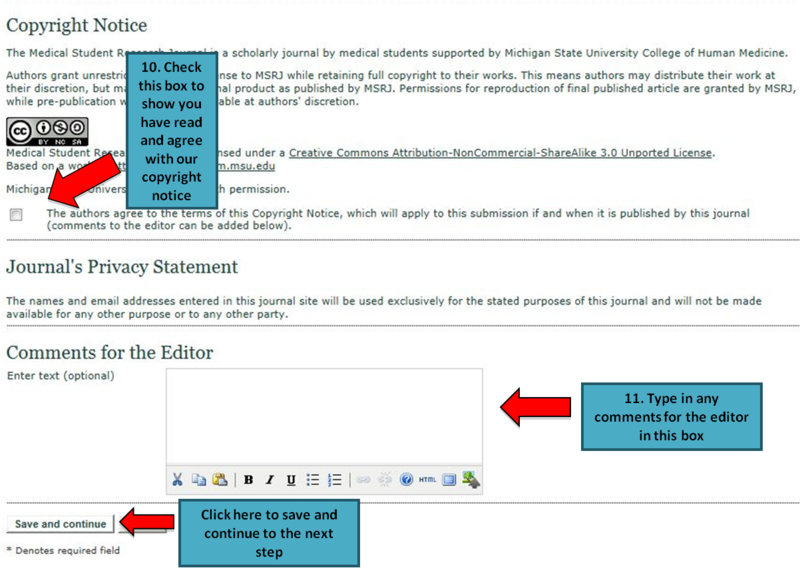 Temporary submission process (as of 11/24/18): In order to accept submissions while our online journal management system is down, we are temporarily accepting submissions through a Michigan State University Google/Gmail account. 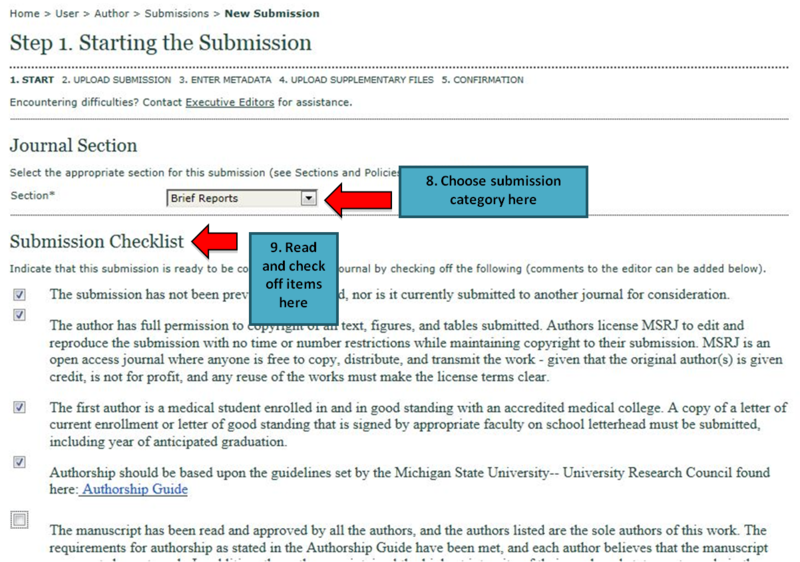 Please visit http://msrj.chm.msu.edu/for-authors/general-guidelines/ to learn about requirements for submission and proper supporting documentation. This page also includes length limits and reference limits for various manuscript types as well as detailed instructions for formatting. 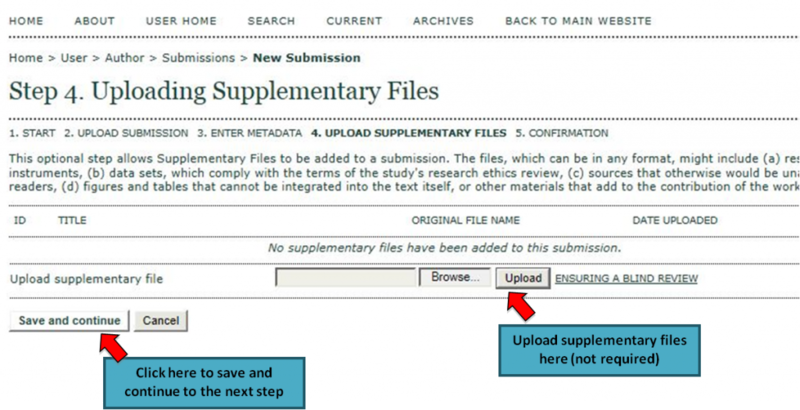 Manuscripts for submission and all supporting documents can be sent to angelyn.thayer@msrj.chm.msu.edu. 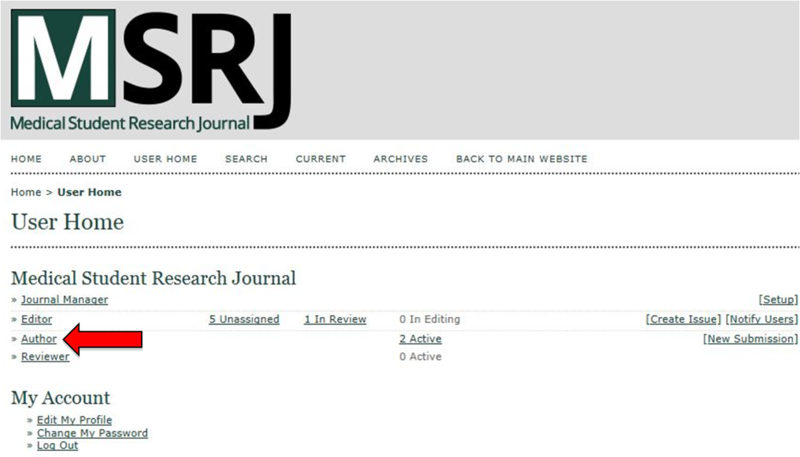 Thank you for your interest in MSRJ, we look forward to your submission. Step 1. 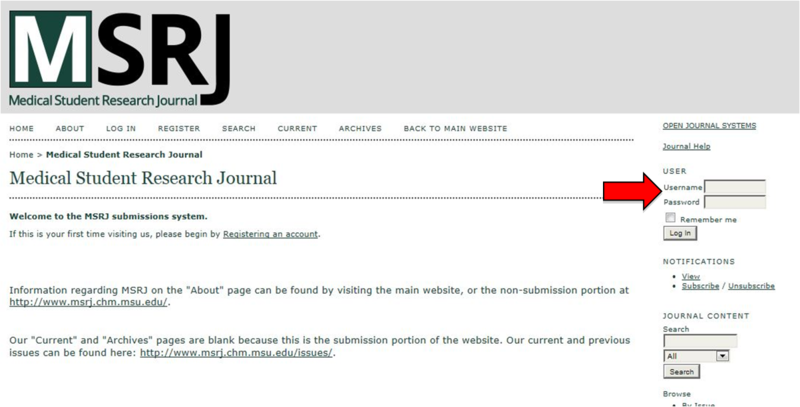 Visit our submission system by clicking the MSRJ Submission Button above and follow along below. Step 2: Welcome to our submission page! Click on the link to register for an account. Step 3: Complete registration form. (*) Denotes required fields. 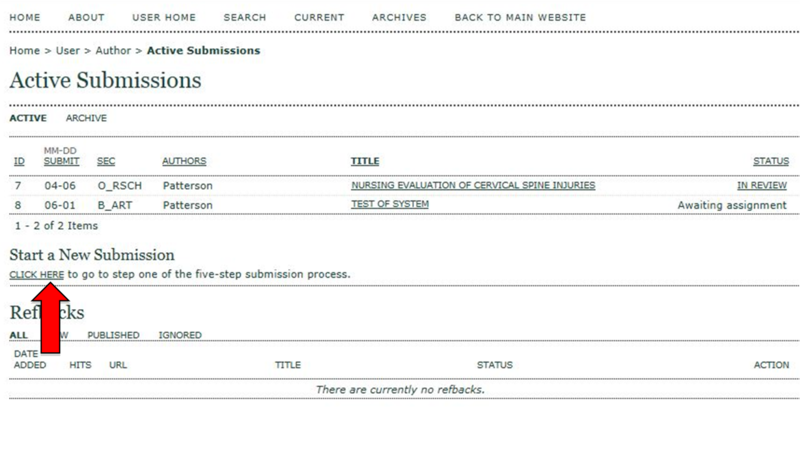 Step 4: Check “Author” box to submit as an author. Step 5: Log-in with your new username and password. Step 6: Click on “Author” role. 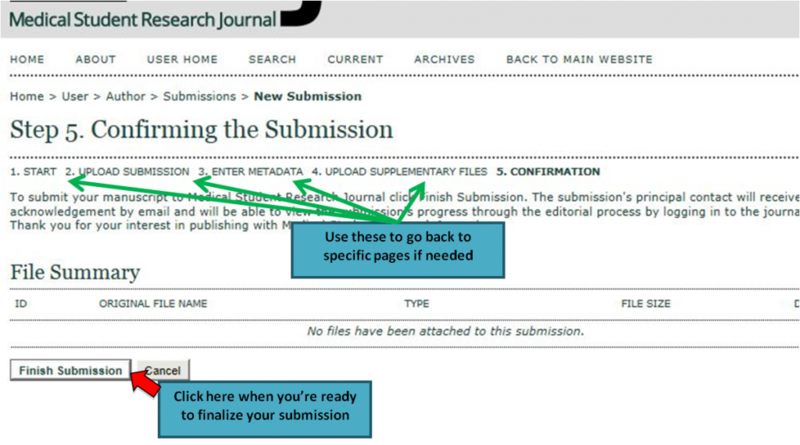 Step 7: Click on the link (“click here”) to start a new submission. 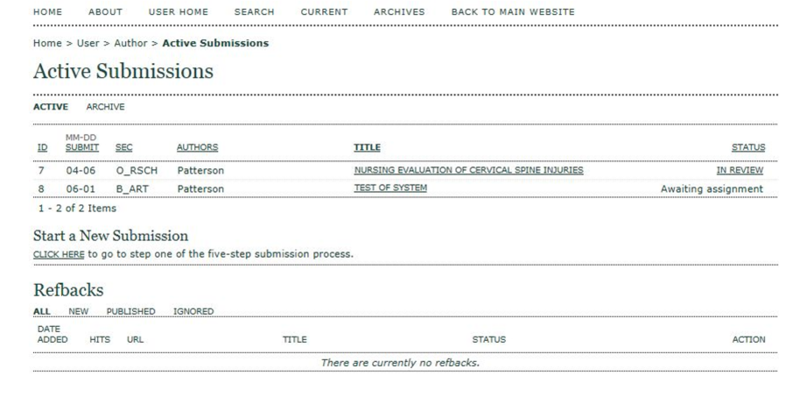 Step 8-9: Choose the category of your submission from the drop-down menu and check off items under “Submission Checklist”. Step 10-11: Copyright notice and comments for the editor. Step 12: Upload your submission. Step 13. Enter information regarding the authors of your submission. You can add additional authors by clicking the “Add Author” button. 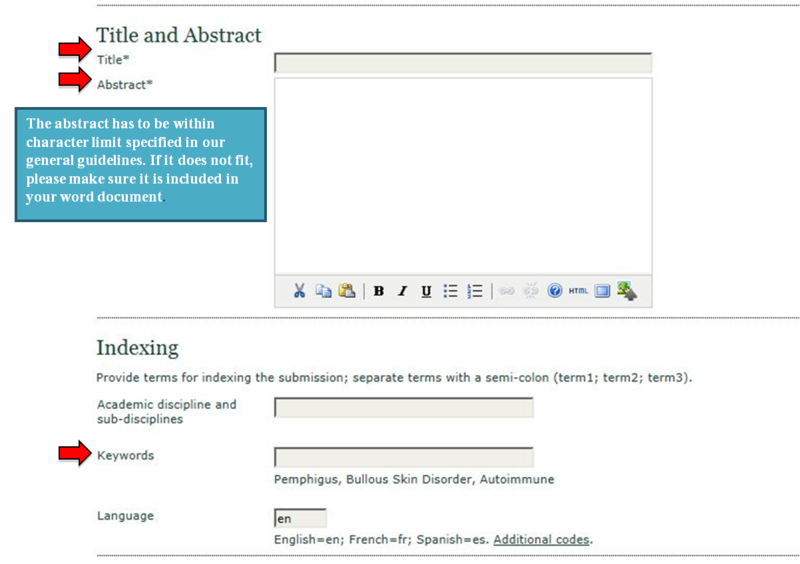 Step 14: Enter title, abstract, and keywords. 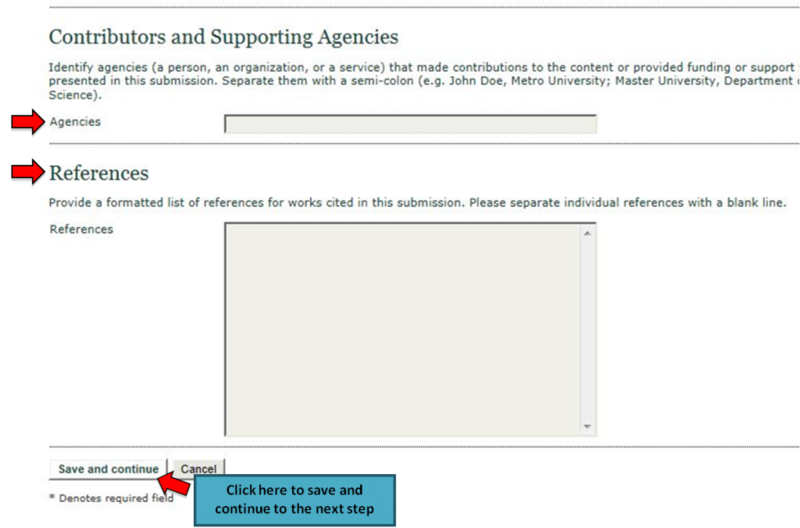 Step 15: Enter contributors/supporting agencies and references. Step 16: If necessary, upload any additional files to supplement your submission. If no additional files are being uploaded, click “Save and continue”. Step 17: Your submission is almost complete. If you are satisfied with how you entered the information, click “Finish Submission”. 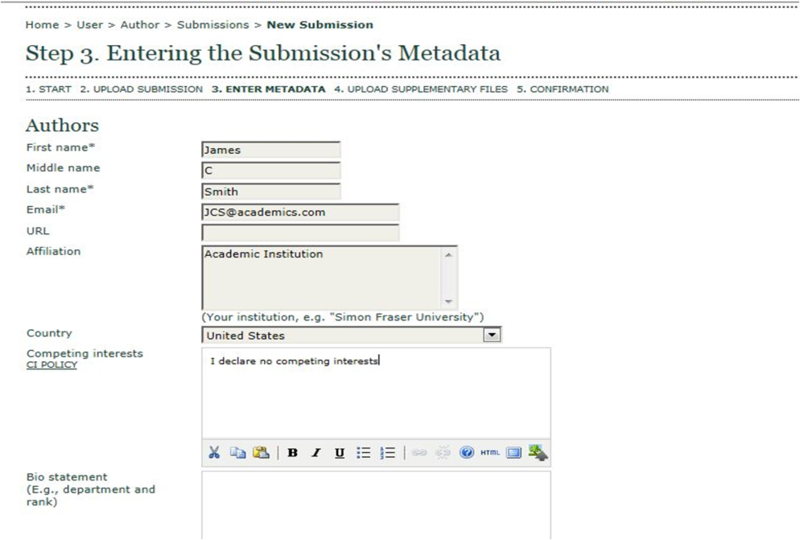 Step 18: Return to “Author” role to manage your submission.